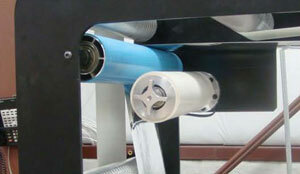 The most simple, cost effective and space efficient solution to your narrow web cleaning issues. 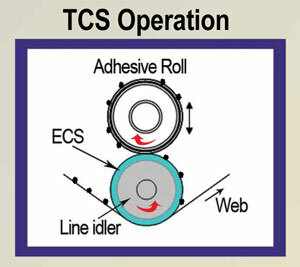 Tekena’s new TCS narrow web cleaners incorporate the patented ECS Elastomer Cleaning Sleeve with an automated Adhesive Roll transfer system to give the best possible performance for particulate contamination removal down to micron sizes. By minimizing cost and installation space the TCS can achieve a payback time of just a few weeks from significantly reducing rejects, line downtime, repeaters etc. thereby optimizing process efficiency and saving money! 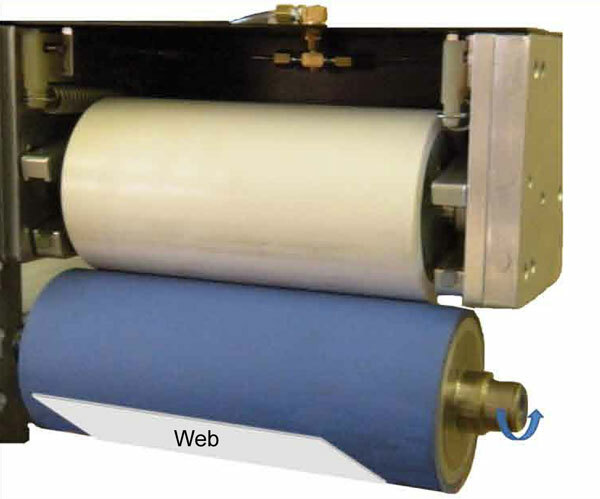 If you thought that the benefits of a full contact/transfer cleaning system were out of your price or cost justification range, take a look at Tekena’s TCS narrow web cleaners and think again. The TCS is web driven to ensure exact speed matching without scratching or scraping the web. Rated for maximum continuous line speeds of <1,500ft/min. Available in multiple cleaning widths up to 24.5"
Each TCS unit is supplied with an ECS sleeve, Pre-sheeted ARS Adhesive Roll with fully automated mounting shaft, pre-drilled mounting plate, a nip guard and a control box with all necessary electrical systems. 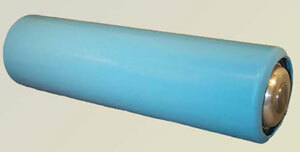 Available in any length required up to 400" and for 1.5", 2.0", 2.5", 3.0", 3.5", 4.0", 5.0" and 6.0" host roller outside diameters.